Exposure to endocrine-disrupting chemicals has been linked to diabetes before, but little was known until now about gestational diabetes and exposure in pregnancy. 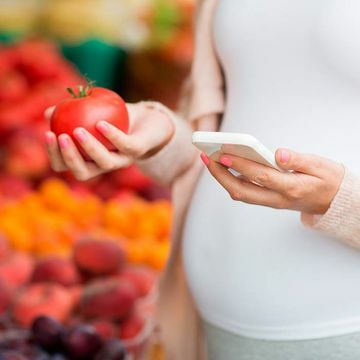 The reasons pregnant women get gestational diabetes aren't completely clear, but a new study from the University of Crete in Greece suggests that exposure to certain pollutants found in food can increase the risk. The problem chemicals are persistent organic pollutants, or POPs, which were banned as pesticides decades ago for their toxic properties, but are non-biodegradable and therefore present almost everywhere in the environment, according to lead researcher Leda Chatzi, MD, PhD, assistant professor of nutritional epidemiology at the University of Crete's Faculty of Medicine. What's worse, they can accumulate in our bodies. For the study, researchers observed 639 pregnant women and found that a 10-fold increase in exposure to organic pollutants in the early stages of pregnancy meant they were a little over 4 times more likely to develop gestational diabetes. The bad news is all woman—irrespective of their social class or background—are at risk of exposure to POPs. "Because of their persistence in the environment, the general population is still exposed to these substances at low doses and adverse health outcomes related to background levels of exposure are still a concern," Chatzi told Fit Pregnancy, adding that human exposure to POPs now occurs primarily through diet and can be transmitted via placenta and breast milk to babies. When it comes to meats, buy free-range and wild-caught whenever possible, since animals raised in typical farm environments can accumulate toxins from feed.